I love a good celebrity death. And I love a good celebrity grave! 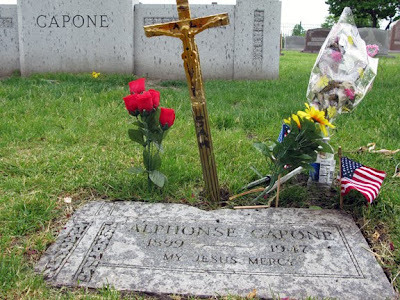 Here we have Al Capone’s final resting place in Hillside, Illinois. His relatives are nearby. I took this photo on Memorial Day and, obviously, somebody remembered him!